UPDATE: All four wrestlers representing East High School finished on the podium: Matthew Jordan, 3rd at 126‬; Brock Espalin, 3rd at 132‬; Deville Dentis, 4th at 145‬; Matthew Scott, 5th at 182‬. 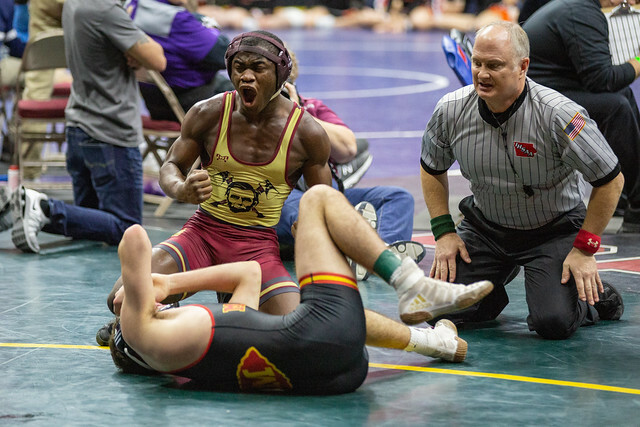 Nine Des Moines Public Schools wrestlers qualified for the IHSAA State Wrestling Tournament at the Wells Fargo Arena. The State tournament is February 14-16. For more information on the State tournament, visit the Iowa High School Athletic Association’s web site.